Hello everyone. 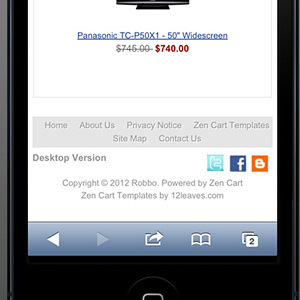 We are glad to announce the start of updating our Zen Cart templates with responsive design! Nowadays, it is impossible to imagine our live without any mobile or tablet devices. Almost each new client wants a mobile version of their website. The same trend goes for shopping carts. We believe it is essential to have an adaptive design for a variety of devices, such as iPhone, iPad, BlackBerry, netbook, kindle and so on. The article describes the instructions and features of our responsive Zen Cart templates and some tips of managing the themes elements on the example of our Responsive Zen Cart Theme. The template does not require a separate installation of Zen Cart or any mobile theme to look adapted for tablets and mobile devices, only CSS style files are used for this purpose. For those who want to view a full version of site we provided a “Desktop Version” link at the bottom. So that the user can switch the mobile and full version of the site easily. Surely, the link appears on small screen resolutions only. Fluid columnar product listings automatically set a numbers of the columns via CSS styles, so that it gives the template a professional look on any mobile and tablet devices. Zen Cart add-ons that contain the same files as our template package may affect the template functionality due to the fact that the responsive feature requires a special layout to function properly. So, if the add-on you have now use the same template files as our template package, you need to merge that files manually and the theme and your add-ons will work absolutely correctly. All the add-ons that are related to Google, payment methods, checkout (and so on) will work correctly with all our themes right after the installation. 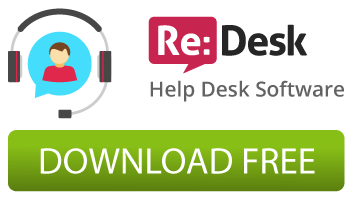 You can test any add-on on our free themes before purchasing premium one. See all features and settings of almost all our responsive themes on the example of our Business Responsive Zen Cart template. Give your shopping cart a new professional look with our Responsive Zen Cart Template! This entry was posted in Mobile and Responsive, Zen Cart Themes, Releases, Tips and tricks and tagged responsive theme, responsive theme for Zen Cart, responsive design. Bookmark the permalink.